I bought this wristlet to wear as a more casual evening bag. I wear it as a wristlet even though the chain strap can also be used as a short handbag. I love the colour, it goes with everything, and the size means I can carry a lipstick, mobile phone and car key. I would love this bag in a cream colour! 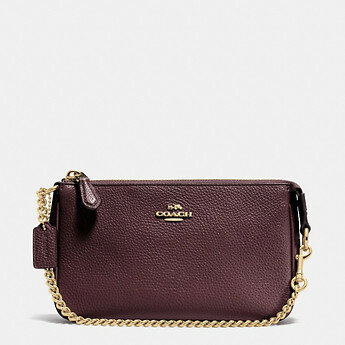 I only wish it came with a longer strap as it would make a cute crossbody bag.